As investors, we operate in a world of probabilities rather than certainties. One caveat to this rule is the uncanny ability of financial markets to confound conventional thinking, creating sharp swings in sentiment and, by extension, equity prices. China's headline index's returns over the past two years of 54.3% and -18.75% in 2017 and 2018 respectively illustrate that point; the investment herd were wrong-footed in consecutive years by an economic and political dynamic that ran contrary to expectations. Last year, domestic Chinese equities registered -33%, one of the world's worst performing markets. Entering 2019, many China observers struggled to see beyond the headwinds of trade wars, tight money, a slowing economy amid ongoing deleveraging efforts and continued policy risk overhang across industries such as gaming, pharmaceuticals and education. Yet MSCI China and the domestic Shanghai A-share market are returning 10.7% and 6.3% year-to-date respectively. How so? Simply put, market sentiment among the investment community has moved swiftly from extreme pessimism to a more neutral, dare we say optimistic, outlook. Catalysts for the current equity market rally include the growing expectations of a positive outcome to the US-China trade tariff impasse within the 90-day deadline and a softening US Federal Reserve rhetoric on the frequency and magnitude of further interest rate rises. This should result in a weaker US dollar, relative to Asian and emerging market currencies. Historically, this has been good news for China investors, given the longstanding negative correlation (-0.70 since 2000) between US dollar strength and the performance of the MSCI Emerging Markets Index. Underpinning the equity market rally is a supportive valuation story. At current price-to-book levels of 1.48x, Asia ex-Japan is trading at close to a 15-year trough, relative to developed markets. Observing this valuation in a historical market context, back to 2000, suggests further additional upside of some 15-20%. MSCI China, at a current 1.6x price-to-book valuation, has historically generated a further 15-20% return, with 80% probability of a positive return over the next 12 months. 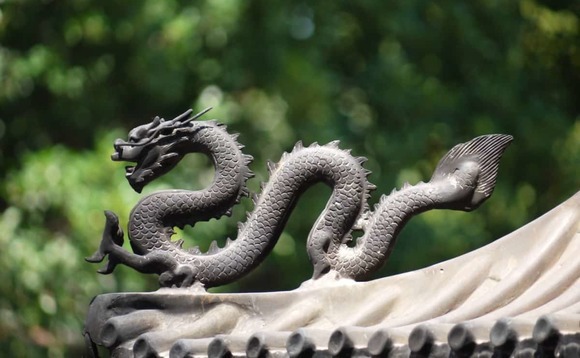 While it would be remiss of us to ignore the potential for further earnings downgrades this year, since market consensus for aggregate MSCI China earnings growth in 2019 currently stands at approximately 14%, for investors considering adding to, or introducing exposure to China, this does represent a reasonable margin of safety. Recent market volatility has challenged assumptions from both the Fed, that rates can continue rising without a serious impact to US growth, and President Trump, that the US economy will be immune from trade war outcomes. While this has raised short-term sentiment, outperformance over a longer-term will require Beijing to continue boosting private sector and consumption demand. To boost growth, we can expect progressive easing in monetary stimulus, as well as easing of some of the more aggressive policy measures on the country's new-economy sectors. Our quantitative investment discipline seeks to exploit investor behaviour and the resulting opportunities it can present. The three core outcomes from this process are truly active management, reflected in our China portfolio composition, the ability to remove human emotion from the decision-making framework, and an evidence-based, pragmatic investing approach. Looking at the portfolio today, we have high exposure to the industrials, real estate and telecommunications sectors, funded by significant underweights to information technology and communication services, relative to the MSCI China index.